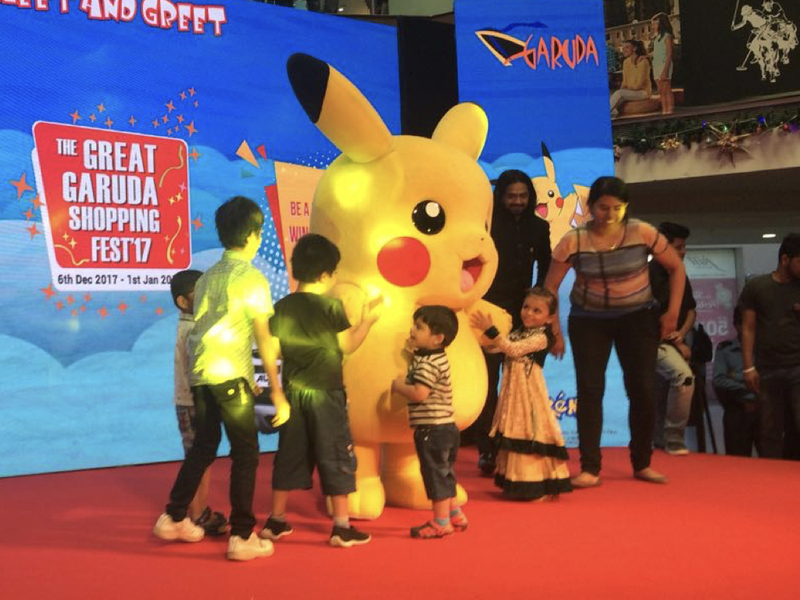 This Christmas Pikachu was out at Garuda Mall, Bengaluru to meet his fans for 2 days. During this period he met with 500+ kids who were very excited to have fun, dance and click pictures with their favorite Pokémon and participate various creative and recreational activities. Over these days not only kids, teens and adults were also excited to meet Pikachu and celebrate Christmas. For more details on Pikachu/Pokémon Meets & Greets, feel free to connect with us.